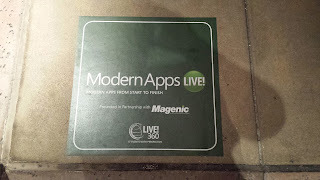 Allen Conway's Blog: Up Next... VSLive! 2013 On Deck! ♫"It's the most wonderful time of the year..."♫ Nope, that's not Christmas music you're hearing. but it's time for the premier developer conference here in Orlando, FL to begin tomorrow! This is my 6th VSLive! conference and I'm hungry for soaking up some technical knowledge this week. As I've mentioned prior, this conference and others I attend like it help make up my DNA as an architect and software engineer. Last year I used a large amount of what I learned on WebAPI back at the office to help bring new products to life. 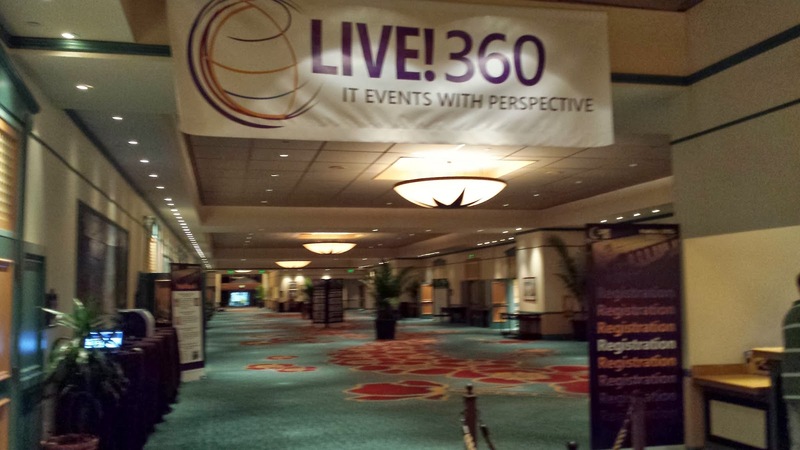 This year the VSLive! suite of conference introduced the 'Modern Apps Live!' track which I'm interested in getting engaged. I look down the list of presenters and there are a fine group going to be dishing out knowledge with the like of Jason Bock, Rocky Lhotka, Billy Hollis, and Nick Landry to name a few. It's going to be another one of those years where there are 5 things going on simultaneously and only 1 thing I can attend. This is why I value this conference so much. In the days preparing I've installed VS.NET 2013 and Windows 8.1 on my laptop (yes, I'm still lugging one around, but to it's credit it's super fast with a SSD). 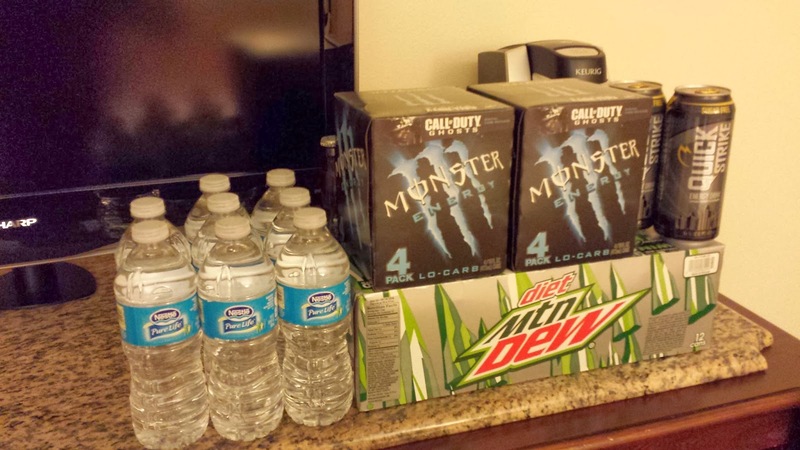 I have the essentials (pictured right) to energize and then re-hydrate ;) so there is no question about the stamina required to go 5 rounds (days) with VSLive! I've already registered and have begun planning for tomorrow. I've got my eyes on the Data-Centric Single Page Applications workshop. The mix of client code technology talk along with WebAPI are valuable needs in my line of work. If you happen to read this and are looking for a suggestion, I highly recommend the 'End-to-End Service Orientation' workshop with Miguel Castro. I've attended, would honestly do it again, and is great if you need to brush up on or learn about services available on the Microsoft stack. Well, there is not much left to say but let's get it started!